Do your keiki have the enthusiasm of Buddy the Elf on Christmas? Maybe they used to but now they're older and more curious. So how do you keep the excitement and magic of Santa Claus alive? Use different wrapping paper. Buy different wrapping paper so that the gifts from Santa won’t have the same wrapping as the gifts from you. Eat the snacks. 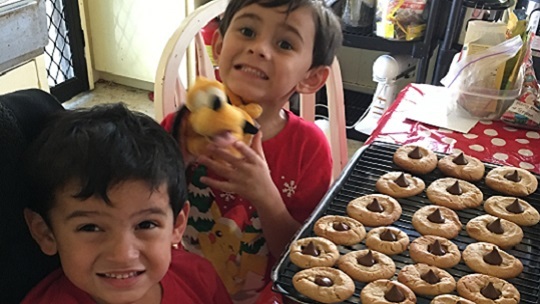 On Christmas Eve, leave a note with cookies for Santa and reindeer food (carrots or a mix of dried oatmeal and other dried fruit) and be sure it’s gone the next morning. Believe. 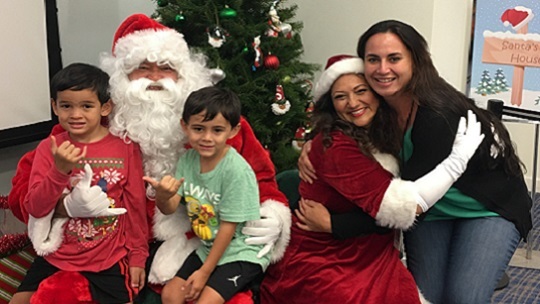 Remind your keiki that Santa Claus only visits those who believe. Warning: The mom who shared this tip also mentioned that her adult daughter says she still believes, so she still gets a gift "from Santa." Use Elf on the Shelf. Yes, it’s tiring for parents to move the elf every night, but it makes Santa a little more real and keeps keiki on their best behavior. Send a letter from Santa. Create a personalized letter from Santa that’s addressed to your child and acknowledges that he received your child’s letter. Make sure that you use different handwriting and use the North Pole as the return address. Leave Santa’s footprints. After the keiki have gone to bed, put small piles of fake snow (baby powder or carpet deodorizer) on the floor and then walk through it with large-sized boots. Visit Norad’s Santa tracker. Norad has been tracking Santa’s journey for years and now you can see videos, maps and even a sneak-peak at Santa’s village. How do you keep Santa real? Tell us in the comments below.